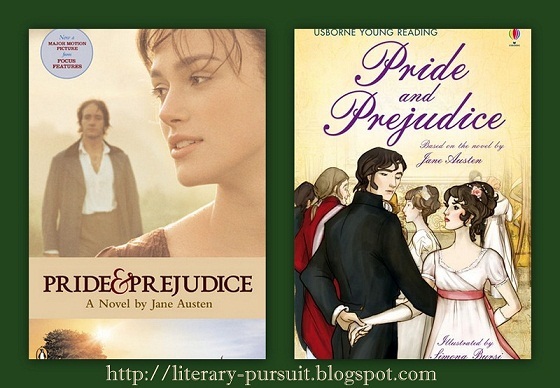 Book Review E-book Download Novel Free Download Jane Austen's Novel "Pride and Prejudice"
Free Download Jane Austen's Novel "Pride and Prejudice"
Of Austen’s six novels, that which has gained enormous popularity and favour is Pride and Prejudice. It expresses her delight in life and love for comedy. Jane Austen's quixotic approach to love through the story of Elizabeth and Darcy makes the audience rage with envy. The dynamic characters cover a diverse range of personality types. From the wildly absurd Mrs. Bennet to the diffident Jane to the opinionated Elizabeth, readers are sure to find a character to identify with. The novel takes reader to an abstract idea – the idea of pride in one character and that of prejudice in another. So the novel is primarily concerned with ideas. The characters of Pride and Prejudice show different kinds of humour, various traits of human behaviour. Mr. Bennet is a cynic, Lydia a flirt, Mary a pedant, Darcy a proud character, Collins a potential conceit, Sir William Lucas a feeble dullard and so on. The story revolves around Elizabeth Bennet and her irregular fairy tale. She is one of five daughters from a well-respected family. Her world turns upside down, however, when Mr. Darcy – a handsome, arrogant gentleman – enters their social circle. Austen takes us through a series of twists and turns as both characters experience attraction, heartbreak, and passion. What is one to do in a society where status and prestige are valued more than true love? The story is engaging at every stage. While strong characters carry the drama of the story, ludicrous personalities keep the reader entertained. In every aspect, Pride and Prejudice is one of Austen's greatest masterpieces. By illustrating the drawbacks of ego and prejudice, Austen warns readers against two common failings in love. Although it is not a thrilling, action-packed adventure, Pride and Prejudice is sure to make you smile. Pride and Prejudice seduces us and makes us fall in love, over and over again. Of course, there are doubters and some notable detractors, such as Charlotte Bronte and Mark Twain, who famously said, “Every time I read Pride and Prejudice I want to dig [Austen] up and beat her over the skull with her own shin-bone!” Among those who adore this novel, however ­— and the numbers are legion ­— the book and its story have helped shape how we think about romantic love, not just in literature, but also in life. Across the ages, millions of fans of the book could have set her mind at ease. As readers around the globe participate in this year’s revelry, we can raise a glass to the long life and success of Pride and Prejudice. Then go back and read it again and again.